Sainsbury’s needs no introduction – as one of the biggest supermarket chains in the country, it is a household name. However, few people know it was the first UK supermarket to open its own bank, offering financial services such as credit cards, loans and insurance. 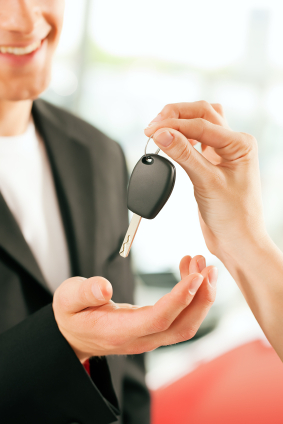 See if Sainsbury’s Bank made it on to our list of the Top 10 car insurance companies. We've also reviewed its home insurance here. Sainsbury’s offer two main types of car insurance – their standard Car Insurance and Premier Car Insurance. To see how Sainsbury’s Bank compares to other providers, have a look at our guide to the best car insurance companies. 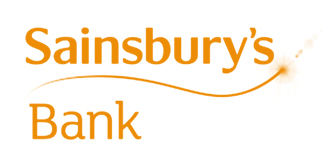 How much does car insurance from Sainsbury’s Bank cost? The cost of car insurance varies depending on a number of factors, including the value and make of your car, where you live and the level of cover you are after (including any added extras). However, if you have a Nectar card, you can receive up to 25% off your premiums. And if you buy Sainsbury's Premier Car Insurance, you receive a range of benefits, including money off fuel for a year and double Nectar points on Sainsbury’s shopping and fuel for two years. Find out about the average cost of car insurance here. What do customers say about Sainsbury’s Bank Car Insurance? Sainsbury's Bank Car Insurance scores 1.6 out of 5 from 61 reviews on Reviewcentre.com and the bank, as a whole, scores 3.87 out of 5 from 52 reviews on Reviews.co.uk. On Trustpilot, the Bank receives 1 out of 5 stars and a rating of 2.5 out of 10, based on 24 reviews. On smartmoneypeople.com, Sainsbury’s Car Insurance received 4 out of 5 stars, based on 8 reviews. What do Sainsbury’s Bank Car Insurance reviews from the experts say? Fairer Finance gives Sainsbury's a 57% rating for its car insurance, which places it 16th out of 51 providers. It is also awarded a silver ribbon. Independent financial researcher Defaqto has rated Sainsbury’s Premier Cover Car Insurance as 5 Star. Their standard Car Insurance policy has received a 4 Star rating from Defaqto. A 5 Star rated policy has “an excellent product with a comprehensive range of features", whereas a 4 Star policy is "a product with a good level of features and benefits". "I just got a quote through Bought By Many and my insurance is now approx. £8 a month cheaper than last year! YAHOO.... HAPPY HAPPY HAPPY :)"
Join one of our car insurance groups to save money on your car insurance. Check out our list of the top 10 car insurance providers. Find out what Sainsbury's home insurance covers and what affects your premium.